This page describes how to configure GlassFish for use with Jaybird. 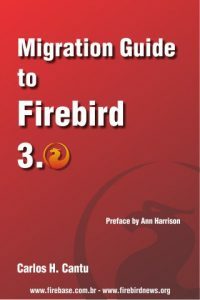 These instructions are based on GlassFish Server Open Source Edition 3.1.2.2 and Jaybird 2.2.3. I will probably add more detail in the future. The Firebird JDBC team is happy to announce the release of Jaybird 2.2.2. As part of the connect timeout change, hostname handling (if the hostname is an IP-address) in the Java wire protocol was changed. This should not have an impact in recent Java versions, but on older Java versions (Java 5 up to update 5) this might result in a delay in connecting using an IP-address, if that address can’t be reverse-resolved to a hostname. Workaround is to add an entry for that IP-address to the /etc/hosts or %WINDIR%\System32\Drivers\etc\hosts file.